The Guitar Man of south St. Louis had his set cut short on Monday by thieves. 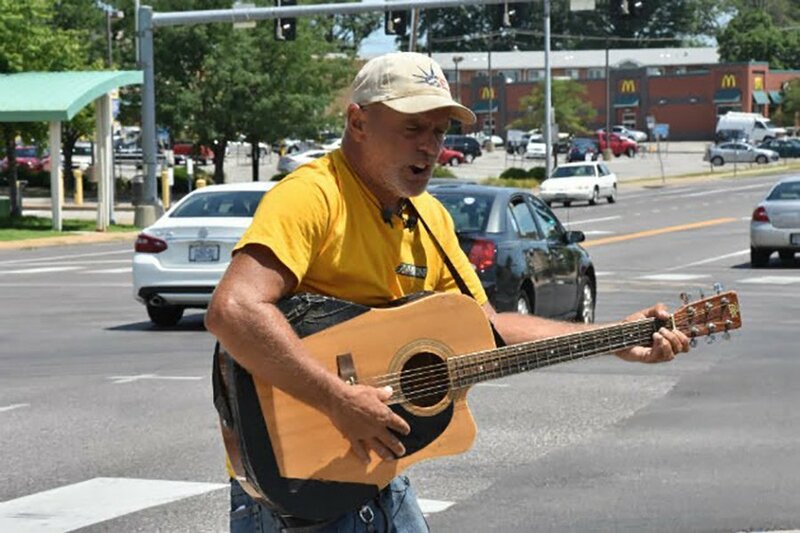 Roger Ulrich, 57, has played nearly every day for the past four years at the corner of Gravois and Hampton avenues. He performs next to the Steak N Shake, and most days, he takes a quick break inside the busy burger shop. He leaves his guitar — most recently an Esteban — propped between light poles while he cools off.